Forests coverage and quality in the Kyrgyz Republic decreased due to inefficient forestry management during the Soviet era and post-independence financial and human resource shortage. Forest cover marked as low as 3% of the total land area in 1966 and recovered to 4.3% in 2003. However the forest quality continued worsening without appropriate management. To address this issue the State Agency for Environmental Protection and Forestry (SAEPF) of the Kyrgyz Republic introduced Joint Forest Management (JFM) system, in which forest users (tenants) lease state forest land for a long-term to manage forests or fruits tree plantations based on agreement between three parties: Forestry Enterprises, village associations and forest users (tenants). Operation methodology of JFM system however was not prescribed concretely, and institutional capacity of the relevant organizations was insufficient to effectively manage the system. 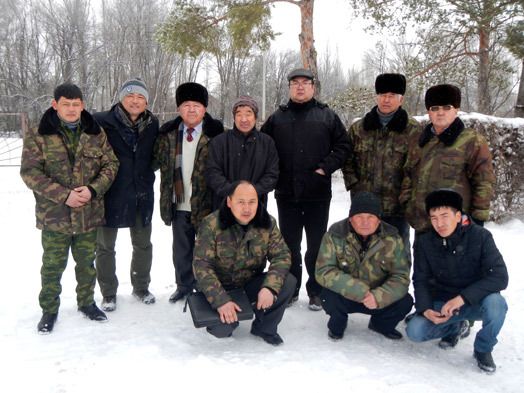 JICA assisted JFM system operation by developing JFM guidelines through a technical cooperation project “Support for Joint Forest Management in the Kyrgyz Republic” from 2009 to 2014. Further prevalence of JFM requires promotion of forest products (such as fruits) business by developing the capacities of tenants including local people and private companies to produce, process and distribute products with effective support by Forestry Enterprises. Besides, another challenge is to build business capacities of Forestry Enterprises for privatization of its function and financial independence in future. 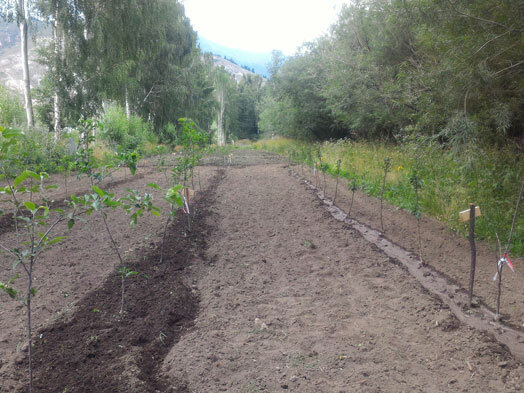 The objectives of the Project are: to establish a system to promote forest products business, mainly fruits such as apricots and apples, through JFM system in three target provinces (Chui, Talas, and Issyk-Kul); and to develop a “nationwide forest products business action plan” and share it with stakeholders all over the country. Current issues include: a lack of a clear strategy of SAEPF and Forestry Enterprises regarding economic use of the state forest land; their measures insufficient to promote private investment; and tenants’ little capacity to run market-oriented business of forest products. In order to address these, the Project pursues basic principles as below. Firstly, the Project supports development of three-year “Forest Products Business Plans” to promote forest products business at a level of Forestry Enterprises and effective implementation of planned activities. Based upon the results, the Project assists development of five-year plans at respective levels of Forestry Enterprises, provinces, and the nation, by which guidelines and strategies for promotion of forest products business are established at all levels. Under the current JFM system, a majority of tenants are small-scale producers such as local people who have side businesses. The Project carries out some pilot projects to facilitate group-based activities of small-scale tenants of local people, as well as to attract large-scale private companies as core tenants, aiming to develop market-oriented production/processing clusters. In the first year, the Project selected 11 target Forestry Enterprises, which developed respective “Forest Products Business Plan”. The Business Plans illustrate principles of respective Forestry Enterprises including: business models to be promoted in their forest lands for lease; conditions and methodologies to select tenants; and policies to facilitate development of production/processing clusters. Currently in the second year, in cooperation with the Project, each target Forestry Enterprise has been implementing their business plans for forest products mainly in three areas as below. 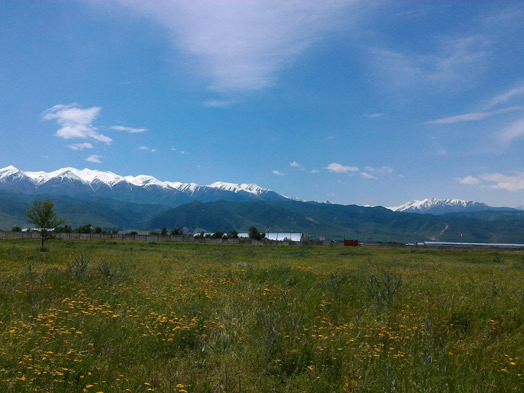 In Chui and Issyk-Kul province, two Forestry Enterprises developed tender documents with detailed information of land for lease to attract potential private company tenants. In Chui province, several companies joined a competitive bidding. Two company tenants were selected and lease agreements were concluded successfully. 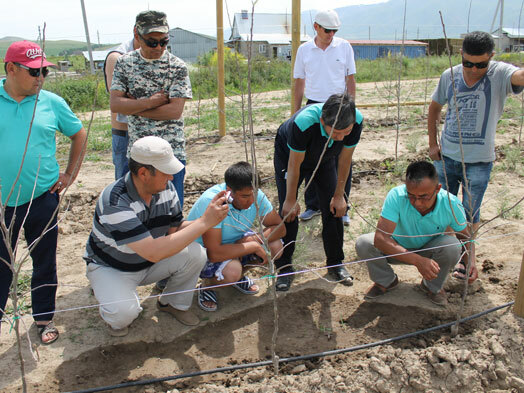 Forestry Enterprises in the target three provinces have been providing practical training with lectures and exercises to strengthen knowledge and skills of local tenants on fruit production (apples and apricots). Among these, seven Forestry Enterprises commenced experimental cultivation of fruit seedlings of new varieties (e.g. dwarf apple), aiming at future promotion of the varieties to tenants. The Project supports capacity building of forestry officers in fruits cultivation and the management of their experiment activities through provision of materials and equipment, active utilization of local experts and training in other countries. 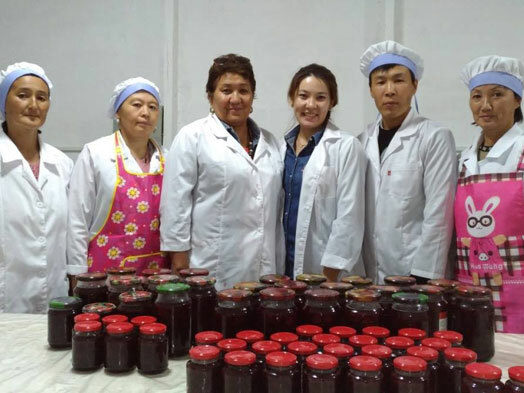 In Issyk-Kul and Talas province, three Forestry Enterprises direct their efforts not only to production of forest products but also promotion of its processing, such as “assistance to processing and sales of forest products (pinecones and fruits) by community-based organizations” and “private investment promotion for the establishment of fruit processing plants”. The Project supports these activities through provision of technical training on food hygiene and processing, development of business plans to attract investors, and so on. In the future, the Project will support SAEPF to revise regulations of state forest land lease, which is fundamental to functional JFM system, and to develop a nationwide forest product business action plan. The Project will also compile a case book of the target Forestry Enterprise’ practice for forest products business promotion, and share these with stakeholders all over the country through study tours and seminars.